The Kitchen & Dining sector of Spring Fair is set to showcase key product trends for 2019. The UK’s largest and number one home and gift marketplace is back, offering unrivalled scale, variety and choice for retail buyers. Held from February 3 to February 7 at NEC Birmingham, Spring Fair will inject a fresh and vibrant flair into retailers’ 2019, offering buyers and industry professionals a first look at the hottest and most desirable new items on the market. This year’s event is set to see more deals done and relationships forged than ever before, with thousands of exhibitors and visitors expected through the doors. Spring Fair 2019’s Kitchen & Dining showcase is set to introduce buyers to some of the biggest consumer trends of 2019. The sector as a whole is becoming far more aware of the need to eliminate single-use plastics from products and supply chains, as well as giving consumers more alternatives and choice. As part of this, retailers are keen to showcase their sustainability credentials. Particularly when it comes to wholesale, party, kitchen and dining wares, there are plenty of businesses who are looking to curb their reliance on single-use materials and show that they are operating a responsible business. Visitor favourite Horwood Homewares will be leading by example, removing a whole range of single-use plastic packaging from its products. And new exhibitor BeeBee Wraps will be displaying its range of eco-friendly, beeswax-based wrapping solutions. By giving customers a choice in supplying a sustainable alternative, brands like these are ramping up the pressure on the culture of excessive packaging. 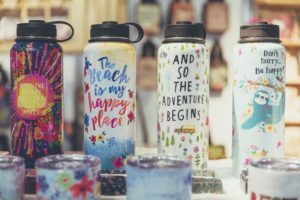 At the show, retailers wanting to help their customers kick the reliance on single-use drinks bottles will have an extensive range of new-to-market hydration products. These drink containers are designed to be used again and again, combining convenience and eco-friendly solutions for consumers. 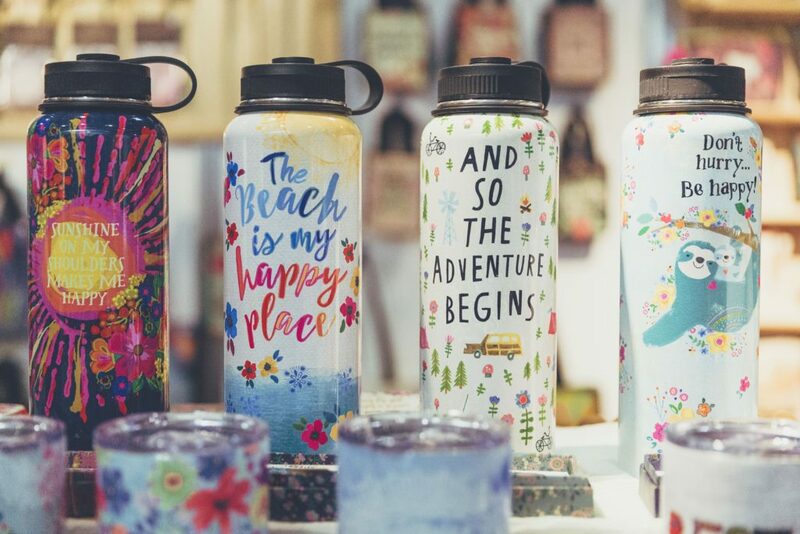 As we all become more attuned to how important hydration is to our mental wellbeing, and not just our physical health, the new trend takes on even more relevance for consumers, allowing retailers the opportunity to buy into some truly remarkable products. Helping consumers navigate the sustainable hydration trend will be JWP, showcasing a new hydration range from Les Artistre. For the first time Bee Blissful will exhibit at Spring Fair, premiering its ti-borosilicate reinforced glass drinks bottles and infusers. Auteur and Creative Tops will also be championing the cause with their ranges of water bottle brands, including new for 2019 products from Corkcicle and BUILT respectively. Elsewhere, Spring Fair’s Kitchen & Dining sector will embrace the season’s most innovative products. As consumers are increasingly more aware of the gin revolution and the resurgence of mixology as an exciting craft, so too are more of the UK’s bars, pubs and hotels. This year’s Spring Fair will give visitors the chance to get up-close and hands-on with a wide range of quality cocktail shakers, strainers, gin balloons and other assorted barware accessories. Spring Fair regular KitchenCraft will be a must-visit stand for anyone wanting to get in on the resurgence of interest in drinks mixing. As a hub for some of the UK’s most innovative, inspiring and intriguing designers, manufacturers and craftspeople, Spring Fair will offer attendees the chance to source the ideal products to drive sales throughout 2019, including gifting periods such as Mother’s Day, Easter, Father’s Day and, of course, Christmas. Spring Fair managing director Louise Young said: “Visitors to Spring Fair will have unmatched access to the newest products and trends taking hold in 2019, across our carefully edited show sectors. “As always, we’ll be bringing together the most innovative products and the creative thinking of the trade, to have a real impact on the financial success of both retailers and exhibitors. For the home, kitchen & dining sector, it’s an event not to be missed! As the go-to destination for a number of the UK and Europe’s biggest interiors, kitchen and dining exhibitors, there will be something for every hospitality business to discover.